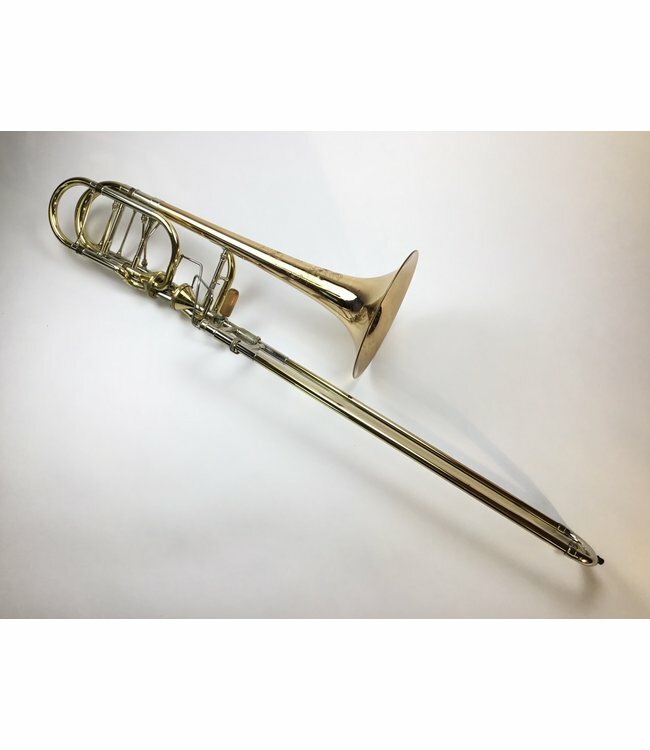 Used Shires Bb/F/Gb/D Professional Independent Bass Trombone. .562” “B62” hand slide, “B2” brass lead pipe, original Thayer independent valve section, “C” tuning slide, 10” gold brass “BII 1G 10” bell flare. Instrument is in good condition apart from minor lacquer and scratches throughout, particularly at contact points, minor acid bleed around bell rim and minor dings throughout bell flare. No case.